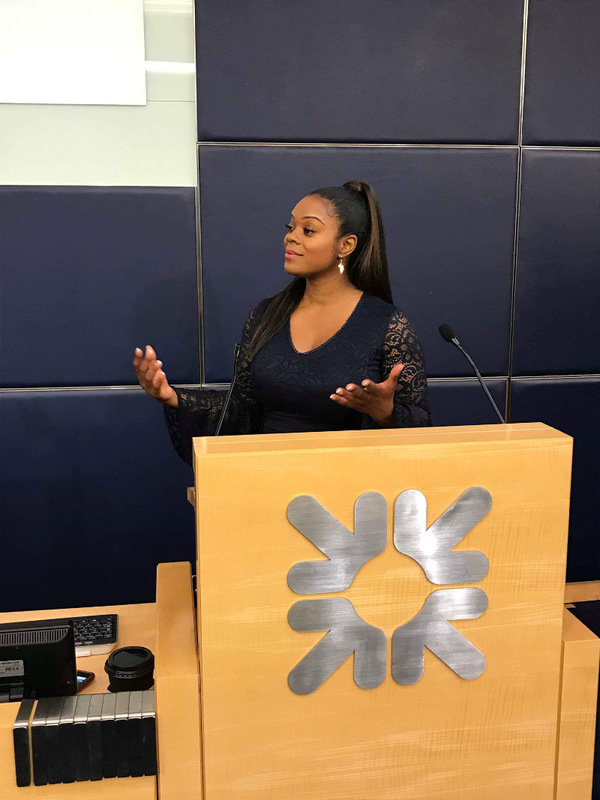 Fiona Small, CEO of Young Mums Support Network, was invited to deliver an inspirational keynote speech at the Boosting BAME Business at NatWest’s event to celebrate Black History Month. The packed auditorium heard how Fiona started her journey with an idea to help single mums to navigate the systems that they would encounter in parenthood. One of the key phrases Fiona said was that she turned her ‘pain to purpose’. This was borne out of her own experience as a single mum and the challenges she faced and overcame. She effectively detailed her own story how she fought to overcome isolation, pain, financial challenges with steely determination to be an excellent mother to her children. Alongside doing all of this, she also realised there were other single mums who were in the same situation and wanted to help where local provision didn’t quite meet their needs. Over the past seven years, Fiona has worked to raise awareness and has taken practical steps to change the lives of young mothers through providing training and education programmes and facilitating a strong support network. 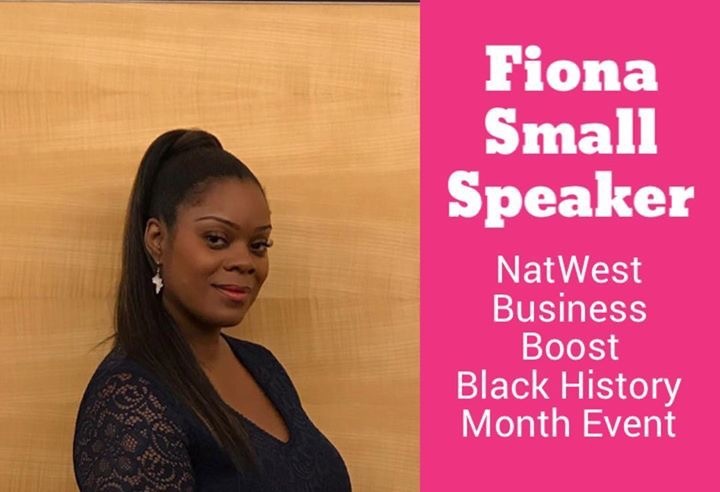 Now as an in-demand speaker, facilitator and broadcast commentator on the issues single mothers face, all while trying to provide for her own family, Fiona shared how her ‘purpose has now become a paycheck’. She no longer does things continuously for free. She realised that in order to help even more people, her work had to be managed and formalised. Fiona enlightened the audience on the many hats she has had, and continues, to wear: first and foremost being a mother to her children, but also to be an advocate, advisor and social entrepreneur and what it takes to continue running a service-user focused organisation.